We are drawn to these lines because they are easier to see, but I would submit that the real fault line is between Reality vs. Unreality. True vs. False. And even, Right vs. Wrong. But these latter two categories still flow from the former. This fault line is much harder to detect for the same reason that there is only one correct answer to 2+2=x, but an infinite number of wrong answers. What is Real falls necessarily into a narrow band, but that which is unbound from Reality knows no boundaries at all–until Reality asserts itself. History shows that the further one gets from Reality, the more pain results when Reality asserts itself. So, for example, if one said “I am immune from the effects of gravity!” and jumped off of a one foot high ledge, the correction wrought by Reality will be minor, and the effect can be written off by invoking some other (unreal) explanation for why it appeared that gravity was still in play. If one now took that unreal explanation seriously and now jumped from a ledge one hundred foot high, the Reality is that you will end up as pulp, with no ability to invoke any more ad hoc (unreal) explanations. Even the innocuous 2+2=x can be deadly; if you insist the answer is 3, and adamantly believed that after “x” cars have passed by you are safe to cross the road, the Reality of the correct answer of cars will prove you are wrong. If the car is moving fast enough, you won’t ever learn that you are wrong. There is this Real observation to make about those who move deliberately away from Reality whilst justifying their every move: there always comes a point where Reality intervenes in such a way that it is no longer possible to learn the lesson, for the simple reason that YOU ARE DEAD. These examples reference mathematics and the laws of physics. Because people generally want to avoid pain, they do not stretch the limits of Reality too far in such areas. But there are other areas where people can go quite a long way down the path of unreality before they themselves begin to feel pain. Indeed, it is possible to set in motion attitudes and behaviors which do not yield their agonizing fruit until long after they are dead and buried. Think: the man who jumps off of an extremely high ledge with a baby in his arms, insisting he is immune from gravity. He dies from old age before he hits the ground below; it is the now grown child that has the ‘pleasure’ of watching the ground draw close, pondering his upcoming fate as a human pancake. From this analogy we also see that there are certain deviations from Reality which we can be rescued from, but there are others where, once the trajectory has been initiated, cannot be brought to an end without bringing the people to an end. But it may not be within this generation that the people see that end. One of the chief areas where people are motivated to pursue unreal explanations and accounts is the nature of humans, themselves. If you have the wrong idea about what a Man is, you can be led to propose all sorts of schemes and ideas which–if you had the right idea about what a Man is–you know can only lead to pain and misery, if you let things play out long enough. Perhaps the clearest example of this sort of thing is Communism. Communism seemed like a great idea in the mid 1800s. It took a solid 150 years before it was possible to look back and see that its end result was significant pain and misery. But anyone with the right conception of Man could have predicted (and many did predict) what the end result would be. As is frequently the case, advocates at the time denied such charges. They could rest comfortably as they died of old age, self-assured that they had been right that no harm would come of their ideology. It is indeed one of the greatest tragedies of modern times that many people have adopted many components of that same ideology and are once again trying to implement it. Is it exactly the same? No. Like I said, the variants of unreality are infinite. There are an infinite number of ways to get 2+2=x wrong. But what they all share in common is that they are wrong. Another good example, although not as clear (and therefore, requiring research, clear-thinking, etc), comes from the view that Man is an animal like any other, the result of common descent, as demonstrated–conclusively, according to the view of many–by Darwin. There is a moral or metaphysical part of nature as well as a physical. A man who denies this is deep in the mire of folly. Tis the crown and glory of organic science that it does, through final cause, link material to moral; & yet does not allow us to mingle them in our first conception of laws, and our classification of such laws whether we consider one side of nature or the other. You have ignored this link; and, if I do not mistake your meaning, you have done your best in one or two pregnant cases to break it. Were it possible (which, thank God, it is not) to break it, humanity, in my mind would suffer a damage that might brutalized it, and sink the human race into a lower grade of degradation than any into which it has fallen since its written records tell us of its history. As one person after another began taking Darwinism as Real, after about 70 years it was possible to see that it had been Sedgwick that had been correct, not Darwin. It didn’t matter what Darwin ‘thought’ would happen, or what he ‘hoped’ would happen, or what he ‘preferred’ would happen. Reality happened. And that’s how it works. That’s how it will always work. It may not always happen the same way (there are an infinite number of ways to get 2+2=x wrong), but in the end, Reality cannot be mocked. A man reaps what he sows. Or his child or grandchild reaps it. There is a proverb that talks about a dog returning to its vomit. Just as people are attempting to implement policies based on the flawed vision of Man embodied in Communism, hoping that this time it won’t end in the murder of tens of millions of people, people are once again attempting to implement policies based on the flawed vision of Man embodied in Darwinism. 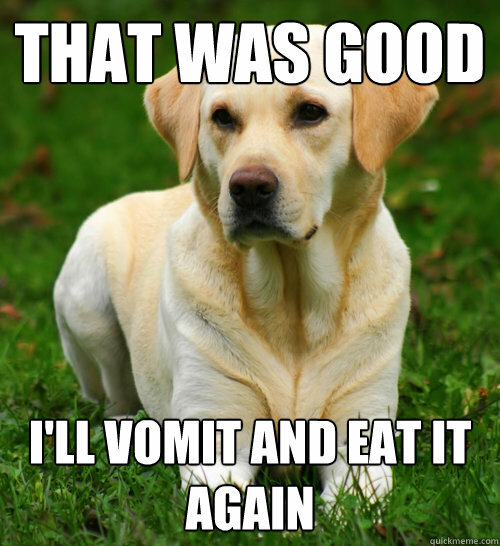 I recently was shown a perfect example of a dog returning to its vomit, which I may treat at length at a later time. Now, in my experience, the reaction to this post will consist largely of people arguing that Reality is not generally accessible with the kind of accuracy we can get with situations like 2+2=4. Even after they read the qualifications I’m about to make, they will still insist that Reality is far too murky a matter to make absolute remarks about. There is no black and white, only gray. And they will say that it is ‘certainty’ that is the real chief cause of our woes. Many will go further and say that there is no way of knowing what Reality is at all. I have even encountered people who go further than denying our ability to know what Reality is, and deny that Reality exists, period. These are the well-meaning people who will bring death down on the heads of millions. I have nothing to say to them. They are lost causes–to us. They will only be persuaded–if they are ever persuaded at all–by Reality intervening. This essay is for the ones who still think that Reality is Real and that it is a worthy endeavor to try to align our life and thought with what is the actual state of the universe, even if we hoped it was otherwise. So, yes. There are many obstacles in our way of determining what is actually Real. One of those obstacles is, indeed, the fact that we often very much wish that Reality was otherwise. After all, who wouldn’t want to have an endless amount of pleasures without ever having to pay the Piper? There are less pejorative obstacles: we are limited to our five senses and our mental faculties, which our own experience has shown to make frequent mistakes; we can only be in one place at a time, such that we are often forced to rely on others for our insight into Reality, and they too are limited by their five senses and mental faculties, which has let them down as often as our own five senses and mental faculties have let us down; there are areas of inquiry which are blocked off to us completely, either because we lack the technological know-how to investigate them, or because they are in the past and can no longer be apprehended directly, or because we have not yet landed on the intuition that would open up that line of research… and so on. And yet there are guidelines that can help. Allow me to list a few. c., de-personalizing other persons for convenience (unborn humans, ie, through abortion), or by logical inference (Darwinism, Islam, and some Christian heresies), or necessity (communism). A good way to know when someone has veered far from Reality is by noticing how much they make of little things and how little they make of big things. But how does one know if one’s own views are out of proportion? See #1 above. There is value in putting your nose right up against something in order to see it better. You can get good detail that way. But what it is, or whether or not it is important or not, can often only be seen by stepping back. Sometimes you have to step WAY back. In this essay, I have ‘stepped back’ to the 1800s to put certain ideas and ideologies into a broader perspective. Many of the people advocating for positions that are fundamentally unreal do not ‘step back’ further than a year or two, twenty or thirty at the max. To the degree that they do look further back in time, it is often only to whitewash their present fundamentally unreal position. The dog returning to its vomit, that sort of thing. How to know? See #1 above. Good math teachers drill into their students’ heads the necessity of ‘showing your work.’ Mathematics can be hard work, and as finding the right answer (if we believe ‘right answers’ exist) is often a multi-step process, documenting what we did in each step is critical for detecting our errors. Ascertaining the true nature of reality is also hard work. It is also a multi-step process, and on top of that, we are forced by the nature of things to employ different methods and ascribe different kinds of weights to different kinds of statements. So, it is sad to say, many people refuse to ‘show their work’ when offering their opinions about the nature of reality. Indeed, in my experience, they are often offended that they have to justify their viewpoints. And no wonder, since their viewpoints often rest on nothing more than their guts, whims, and personal preferences. They want us to take their viewpoints seriously, but they know if they share the real basis for those viewpoints, we absolutely would not. This is why folks like this tend to resort to ridicule, ad hominem, arguments from authority, etc, instead of attempting to lay out a cogent argument. ‘Showing your work’ also entails knowing the history of an idea and how it connects to your own idea; typically, proponents of unreal perspectives will either deny that history or deny there is a connection, or sometimes do both at the same time. ‘Showing your work’ entails recognizing when one is reporting an actual empirical fact versus drawing an inference versus relying on the expertise of another person altogether. Many people are too muddle-headed to be able to parse out such things, but then, that’s why they need to ‘show their work’ if they genuinely care about aligning their own viewpoints with the way the world really is, versus what they wished it was. Especially when one’s unreal viewpoint has the potential to create significant harm. Again, #1, above. I may add some others later, but as I have now crossed 2000 words on this essay and still have other things I need to do today, I’m going to leave it here for now and make some closing remarks. So, it is rarely the case that people pursuing unreal policies are unreal all the time. If one knows what a Man really is, than one understands that that can’t possibly be the case. But even a broken clock is right twice a day. True–but not very helpful. And yet one can only know when the broken clock is correct by reference to a working clock. Ironically, it is often argued that there are no working clocks. (Hence why I wrote my book, The Golden Rule of Epistemology). Piling irony on top of irony, these people who say that we can never really know what is right or wrong… still insist that you are wrong. They may be well-meaning, but anyone who has such convoluted thinking can not be trusted with any levers of power. Befriend them, be kind to them, laugh with them, and drink with them. But never, ever, ever, rely on them for anything truly important. Darwin Correspondence Database, http://www.darwinproject.ac.uk/entry-2555 [Accessed on Tue Mar 4 2014]. Adam Sedgwick to Charles Darwin, December 24th, 1859. Reproduced by Francis Darwin, ed., in The Life and Letters of Charles Darwin, Volume II. (London; John Murray, 1887), 249. The headline is interesting, given your previous post.